The main challenge was to move the pieces diagonally from one square to another square and jump over the opponent’s piece and take that piece from the board. To design the game board having the rectangle and different colored pieces poster nodes and handle the left, right, up and down click control to move the focus and choose the position. To implement the functionality to differentiate the easy and hard game modes on the basis of calculation made from the possible moves. To implement the multiple animation nodes for showing all the possible positions to move the piece or king. Initially we designed the game board having the rectangle and different colored pieces poster nodes using the scene graph’s different renderable nodes. Implemented logic in brightscript to handle the left, right, up, down and ok click control to move the focus and choose the position. We used different scene graph poster and animation nodes and set the blinking animation to show all possible positions to move the piece or king. Implemented logic in brightscript for the toughness of the game that executes according to the game mode selected by the user. Implemented logic in BrightScript for calculating all the possible positions to move the pieces or king. Successfully designed the game board having the rectangle and different colored pieces poster nodes and handle the left, right, up, down and ok click control. 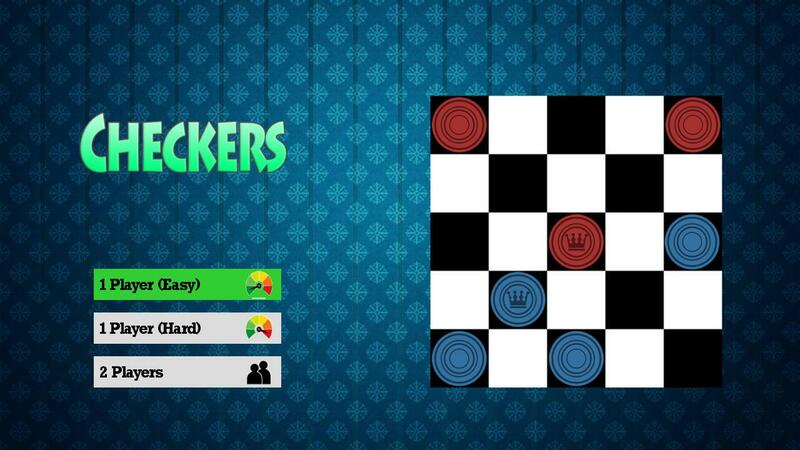 Checkers lovers finally found their long lost game at the Roku Channel Store.